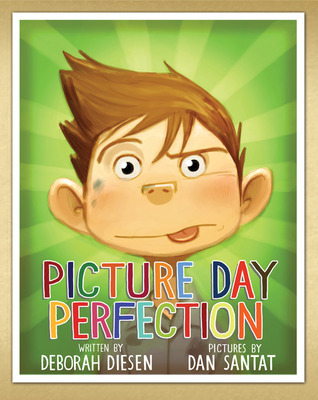 This main character is secretly trying to sabotage his school picture. When it’s finally time to take the picture his hair is a mess, he has smudges on his face, and his shirt is stained. He’s so proud of himself that he accidentally smiles just as the picture is taken and this one becomes his mom’s favorite picture of him. 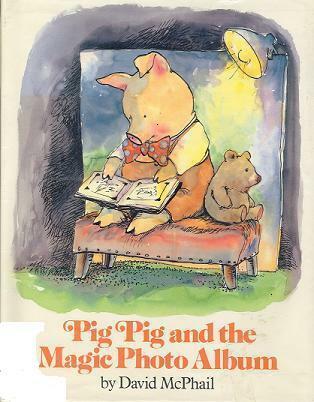 Saying ‘Cheese’ was a problem for Pig Pig. Every time he said it he was transported to the location of the picture he was looking at in his photo album… a church steeple, an airplane wing, a birthday cake, even almost in the crocodile’s mouth! So when he was finally cleaned up and ready for his picture, Pig Pig smiled his best smile… but refused to say ‘cheese’! Maisy Mouse is taking pictures of all of her friends. Use the tabs at the edge of the book to turn the pages or find your favorite one. 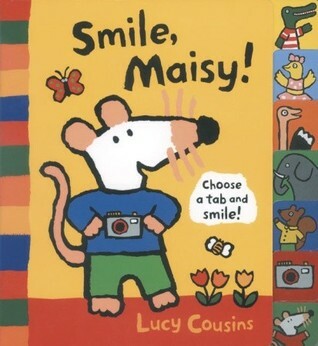 Maisy takes pictures of Charley playing his saxophone, Tallulah on the beach,Cyril in his racecar… but when he hangs all his pictures on the wall, he realizes one is missing.Then along comes Charley with the camera – Smile, Maisy! 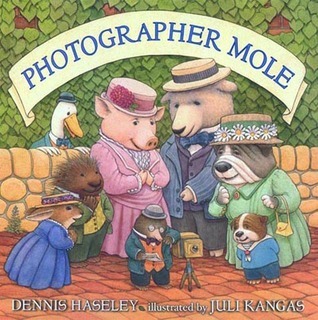 Mole was the best photographer in town, he specialized in portraits. He was there to photograph everyone’s special occasions from the Pig family reunion and Commander Bear’s birthday, to the Porcupine choir. But Mole realized something was missing, so he closed down his shop and went on a trip. Everyone in town was upset at his leaving and were afraid he would never return. But when Mole finally returns, it’s with a big surprise… Mole has a bride-to-be and a new skill which allows him to photograph himself. Now, Mole’s portrait gallery includes pictures of himself with his new family!